A wide view of World War II through the blisters of PBY Catalinas. The seaplane rocked violently. Flak from a battleship below exploded all around it. “My God, what have I done?” Leonard Smith recalled thinking. Though not in strict compliance with the Neutrality Act of 1939, U.S. Navy Ensign Leonard Smith was at the controls of a Royal Air Force Consolidated PBY-5 flying boat that morning in May 1941, scouring the surface of the Atlantic for the notorious German battleship Bismarck. Surprised to suddenly spot the vessel, Smith steered the American-made seaplane—exported to Britain as part of the Lend-Lease program—into a cloud bank to safely shadow the battleship from afar. But after losing his bearings in the cloud, Smith swerved back into clear air—and got a nearly vertical view down the Bismarck’s smokestack. A barrage of anti-aircraft fire from the ship erupted. Smith released a series of depth charges while an RAF crewman radioed coordinates of the massive target. As 19 Royal Navy warships rushed to converge, Smith circled above in the lone seaplane as long as fuel held out, updating the Bismarck’s location and speed while dodging anti-aircraft weapons. British torpedo aircraft attacked the ship, and the following day, wounded and steaming in circles, the mighty Bismarck was sent to the bottom of the Atlantic. Two years before, Consolidated Aircraft Corporation’s PBY (short for “patrol bomber” plus the manufacturer code “Y”) was considered obsolete. The model, evolved from 1930s flying boats, was no longer being upgraded. All Navy orders for PBYs had been filled, and Martin’s PBM Mariner was the expected successor. But Britain’s declaration of war against Germany in 1939 had revived the line: The Royal Air Force ordered 106 PBY-5s and gave them the name that stuck. 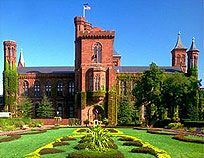 Two months later, the U.S. Navy ordered 200 to perform long-range ocean reconnaissance as part of Franklin Roosevelt’s pre-war Neutrality Patrol. Cruising at 104 to 115 mph, Catalinas were by then among the slowest armed U.S. aircraft in service, decidedly ill-suited to aerial knife fights with agile opponents like the Japanese Mitsubishi A6M Zero. Still, with ocean-spanning range, air-sea rescue capacity, and night glide-bombing tactics, the “obsolete” seaplane would play a part in almost every pivotal battle in the Pacific, and serve in all other theaters of World War II—frequently in roles it was never intended to fill. Twin Pratt & Whitney engines, a 104-foot parasol wing, retractable wingtip floats, plexiglass gun blisters, a hull for a fuselage—Catalinas were suitable for both air and water and looked like it. The airplane’s iconic profile frequently shows up in Art Deco prints of the era. Engine nacelles and fuel tanks were integrated into the wing and, instead of a complex criss-cross of struts and wires like old-gen seaplanes, wing support was mostly consolidated into a central streamlined pylon. 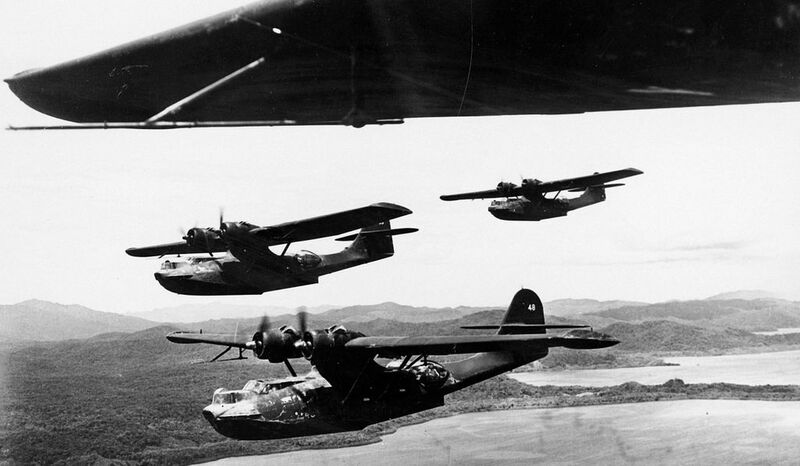 Catalinas were purpose-built for long hauls.The longest nonstop flight recorded by a PBY was more than 32 hours, and 15-hour patrols were standard in the Pacific. “Yes, it’s a long time, but it’s easy flying,” James R. McDougall remarked in an oral history interview recorded by the Eighth Air Force Historical Society of Minnesota. Crew count varied from eight to 10, depending on the mission. Though the primary pilot was the patrol plane commander, usually a lieutenant, at least two other crew members were also qualified to fly the aircraft. On long, fatiguing ocean routes, the three-man team worked shifts, rotating in and out of the cockpit. On his first mission as patrol plane commander of a Catalina, Navy Ensign William Tanner depth-charged a lone submarine also being shelled by a U.S. destroyer. As his seaplane climbed away from the encounter, however, he was plagued by doubt: Could it have been an American sub? Have we just killed our own people? Tanner and the crew of his Catalina resumed dawn patrol over tranquil waters outside the entrance to Pearl Harbor, the site of a large Navy presence on the Hawaiian island of Oahu. It was six a.m., Sunday, December 7, 1941. Very soon, there would be no doubt: Ensign Tanner’s Catalina had helped sink the first enemy ship of the first U.S. engagement in World War II. Only a mile away and less than two hours after Tanner nailed the miniature sub—an advance scout for the approaching Japanese strike force—Pearl Harbor blew up. 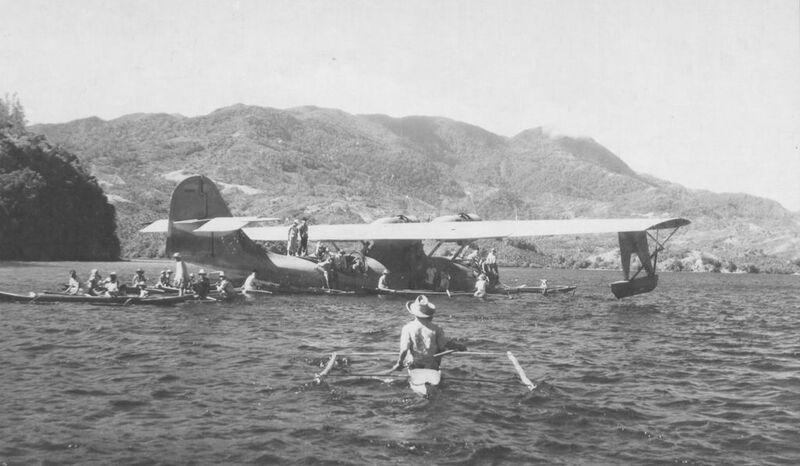 Of the 92 Navy aircraft about to be destroyed by Japanese air attack, 68 would be PBY Catalinas caught on the ground or in the water, most at the big seaplane base at Kaneohe on the east side of Oahu, which was struck moments before the main assault at Pearl Harbor. This apparent priority status underscored Japanese awareness of the Catalina’s long arm and sharp eye. When U.S. forces executed a retaliatory attack almost three weeks later—an assault on a Japanese base on Jolo island—Navy PBYs got the assignment. Arriving at dawn to wreak revenge with 500-pound bombs and torpedoes, the six Catalinas were promptly swarmed by 24 Japanese Zeros and provided fish-in-a-barrel target practice for anti-aircraft gunners. Only two PBYs made it back to base—after merely damaging a single enemy freighter. 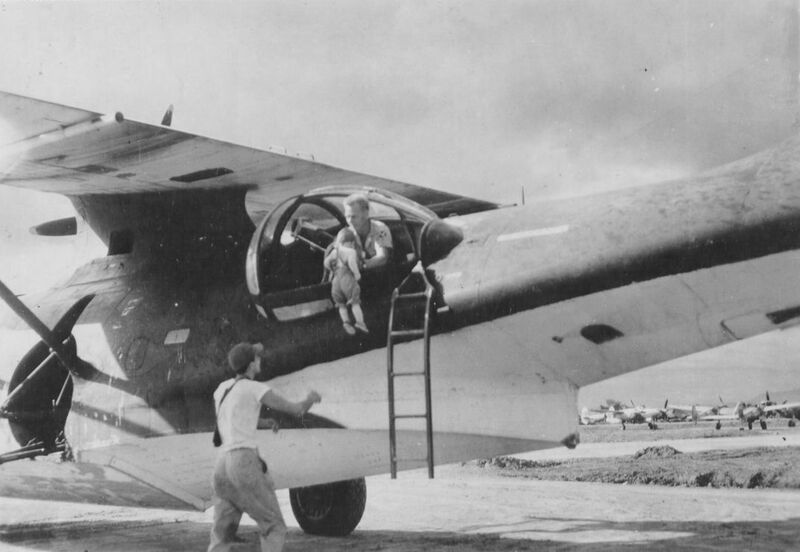 “Under no circumstances, should PBYs ever be allowed to come into contact with enemy fighters unless protected by a fighter convoy,” one of the Catalina pilots who survived the Jolo debacle wrote in his report. Navy strategists agreed: By daylight the Catalina was too slow, too lightly armed, and, initially, lacking crew armor and protective amenities like self-sealing fuel tanks. The old-school Catalina was among the first U.S. aircraft to be upgraded with airborne radar. Japan had neglected radar R&D, and Imperial Japanese Navy ships had to rely on sound-detection systems to locate an enemy after dark. Unlike the one-sided shooting gallery of daylight missions, U.S. Navy Catalinas acquired a game-changing edge at night. Many of the usual drawbacks of night operations—diminished depth perception and shifting cloud shadows—worked to their advantage. Radar-equipped PBYs, painted flat black and designated for nocturnal raids on Japanese ships, were known as Black Cats. “Like a lot of World War II guys, my father never talked much about what he did in the war,” Ron Miner says today. “I don’t think I even realized he flew Catalinas until he was gone.” After Howard Miner’s death in 2011, his son discovered a trove of detailed journals his father had kept as a Black Cat co-pilot/navigator in the Pacific, including reams of sketches. Ron turned his father’s journals and artwork, along with interviews with the few surviving Black Cat crewmen, into Sketches of a Black Cat, a 2016 book that meticulously recounts the life and times of a PBY crew on the graveyard shift. 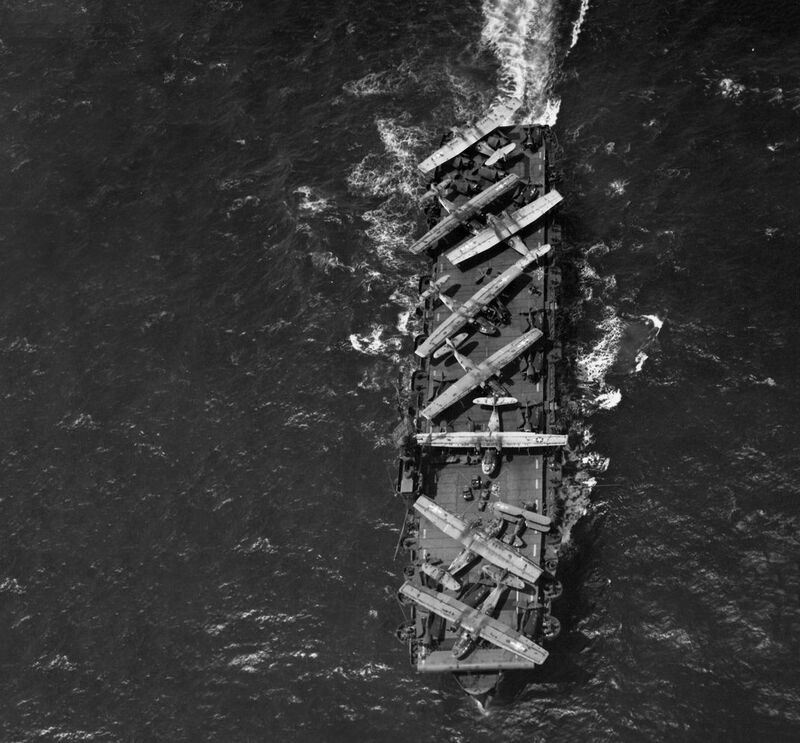 As U.S. forces island-hopped toward Japan, Black Cats flew sorties at every point along the way to soften enemy defenses and disrupt shipping. Where targets were available, the Cats flew every night, regardless of weather. Radar-equipped Black Cats could locate enemy ships from more than 50 miles away in darkness. After homing in, a parachute-borne magnesium flare was dropped to light up the target as well as temporarily blind anti-aircraft gunners. Usually, the flare was shot out by the enemy before it hit the water, but by then positive identification was confirmed. Climbing out to 3,000 feet, the Cat crew radioed a contact report, then the pilot executed a nearly silent gliding bomb run, pulling throttles back and swooping in as low as 100 feet above the target to drop 500-pound bombs in “train” sequence. A ship’s luminescent wake, caused by glow-in-the-dark plankton, served as a visual arrow pointing the way. Though it was equipped with 50-caliber machine guns in both side blisters, and usually another mounted in a tunnel behind a hatch in the hull, a Cat did not return the fusillade of anti-aircraft fire it usually provoked in an effort to avoid revealing its position. According to Howard Miner’s notes, the Catalina’s slow speed and radar technology made it more difficult to target at night, when it used hit-and-run tactics on ships. “We would normally skulk around in the dark, just above sea level where our black profiles would be undetectable from above. 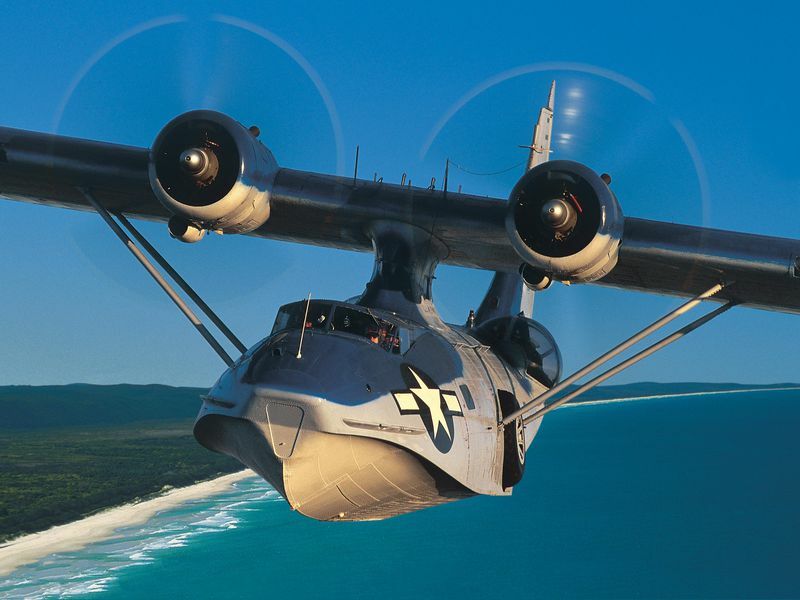 Our PBY altimeters were an improved radar version, allowing us to nearly skim the surface of the sea,” Miner wrote. nitially, Japanese forces assumed the mysterious aircraft delivering bombs from the black of night was a secret, advanced American weapon, diving fast. 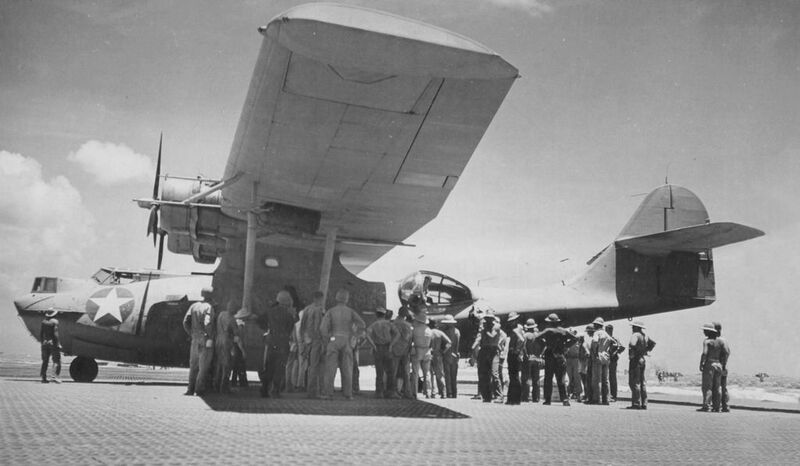 Anti-aircraft gunners adjusted aim accordingly, often firing far ahead of the shadowy target they seldom got a good look at—a glide-bombing flying boat, designed in the 1930s. The early warning provided by Ady and his crew enabled Navy, Marine, and Army Air Force aircraft based on Midway Island to scramble before the strike occurred, avoiding a repeat of Pearl Harbor. Torpedo boats deployed into the lagoon and anti-aircraft defenses were readied. 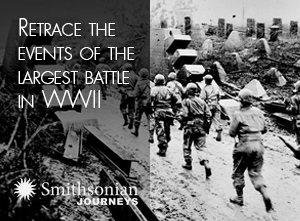 The Japanese strategy to inflict a final decisive blow on U.S. forces quickly collapsed. Over 8,700 American aircraft were lost on combat missions in the Pacific. Perhaps no role more fully embodied the Catalina’s multi-tasking potential than air-sea rescue. Dumbo missions—named after the flying elephant in Disney cartoons—flew day and night with one objective: saving the lives of downed fliers. Early in the war, rescue missions began with a distress call. Catalinas made the process more proactive. By accompanying attack aircraft on strikes, Catalinas were already on site before an aircraft went down and ready to react. Plucking downed fliers from angry seas meant hazarding an open-ocean landing. Setting down in 16- to 18-foot swells required a full stall, carefully timed to touch down on the peak of a wave. Bringing the Catalina as close to the heaving surface as possible with wing floats lowered, the pilot cut the throttle to idle, pulled the nose up to stall the wing, and—as the crew braced themselves—executed a controlled splashdown of the 30,000-pound airplane. Banging across the top of the wave, then plunging into the deep valley between swells, the ship met the ocean. Water surged over the cockpit and doused the engines. Hull structure was overstressed. Leaks spewed from popped-out rivets. Catalina crews walked around with a pocket full of golf tees, perfectly sized to plug a hole. Fliers taken directly out of the ocean were brought aboard through one of the Catalina’s openable blisters. In many cases, the engines had to be shut down to enable a safe open-water rescue. Then, there was the suspenseful moment when the 14-cylinder powerplants—soaked with salt water—were started up again. Cash Barber says the reliable Pratt & Whitney 1830-92 workhorses never left them stranded. Almost 2,700 PBY Catalinas were produced by Consolidated, not including some 600 built under license in Canada. The seaplane’s predicted military obsolescence, deferred by wartime usefulness, occurred rapidly after the war ended in 1945. Ocean-patrol functions were assumed by the more modern Martin Mariner and Grumman Albatross. Helicopters also appeared on the horizon—the vertical-takeoff-and-landing vehicle ideal for air-sea rescue. Many U.S. Navy Catalinas went straight from service to scrap; river-crossed nations like Brazil acquired others, stripped out the weapons, and used them to reach remote populations accessible only by water. Commercial airlines also adopted stray Cats in the late 1940s, notably Qantas in Australia and Cathay Pacific in Hong Kong. Passenger service to Pacific destinations aboard Catalinas continued well into the 1960s. Private-sector ownership extended to individuals too. In the 1950s, entrepreneur Glenn Odekirk began converting wartime PBY-5As into luxury air-yachts called the Landseaire. In a 1950 Life magazine photo spread, scantily clad Marilyn Monroe lookalikes bask on the parasol wing of a Landseaire moored (where else?) off California’s Catalina Island. With a sticker price of nearly $5 million in 2019 dollars, Landseaire sales were not robust—amateur water landings also proved problematic and accidents happened—so the venture folded. Figures vary, but fewer than 20 Catalinas worldwide are still airworthy today. Just over 30 restored Cats are on display in museums. At Lake Superior Squadron 101 of the Commemorative Air Force in Superior, Wisconsin, components from two PBYs are being combined into a single flyable restoration patterned after Howard Ady’s history-making Catalina. “We got permission from his family to use his name, and we’re painting this Catalina with his particular identification marks and the original military color scheme,” unit leader Peter Prudden tells me. Prudden relates a fact that confirms the rarity of Catalinas: None of the PBYs that saw military action in World War II survive today. Like the two specimens presently at Squadron 101, remaining Cats are those manufactured near the end of the war, which served civilian missions afterward, such as water-bombing forest fires. Time and the rapid expansion of concrete landing facilities have effectively negated many advantages of amphibious flight. Still, with almost three quarters of the globe covered by water, one advantage remains: In a seaplane, you’ll never run out of runway.